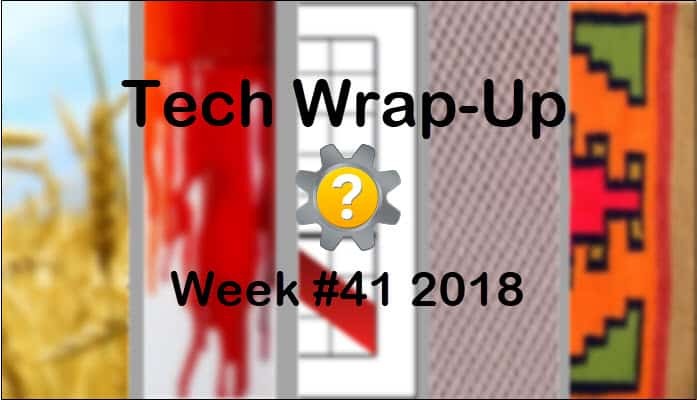 Tech Wrap-Up Week 41 2018. A look back at this week’s ten most engaging stories from the Tech Help Knowledgebase social media feeds. We order the story summaries below by user engagement (posts with the most likes, shares, clicks, hashtag clicks and detail expands) and by the number of impressions they received. Stories are in descending order with the most engaging story at the top. Our human-curated social media feeds include links to technology news, how-to and help articles, and video tutorials for common issues. Stories curated for our feeds are from our staff writers or culled from third-party sources that produce content related to the categories covered by our site. See the summaries and links below for the week’s top stories by user engagement. Follow us on Twitter, Facebook, Google+ and YouTube to interact with our feeds. You may think of your fancy smart TV, digital assistant, and laptop as essential components of your digital life at home. They may have cute nicknames, and you may keep them updated more than your therapist for security and privacy purposes. But they all connect to the internet using a router that you may not even own. It’s that black plastic dusty thing in the corner that blinks at you in Morse code. Your digital world revolves around your router. This piece suggests 5 security settings to check on your core routing device to better protect smarty, digger, and lappy from intrusion. It’s old news now. Microsoft’s features update to Windows 10 ran amuck last week. Known as Windows 10 October 2018 Update, it ended up deleting certain user files when installed. Insiders warned Microsoft of the bug, yet October Update rolled out anyway, only to be later retracted. The issue, now fixed, concerned Known Folder Redirection (KFR), a feature that allows users to redirect known folders to a new location. Google held its Made by Google Pixel 3 event today in New York City. The Pixel 3 release offers an opportunity to compare the flagship smartphones from Apple, Samsung, and Google side-by-side. See how each phone stacks up on size, resolution, processor, RAM, storage, cameras, and more in the handy comparison chart. 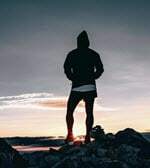 Does one rise to the top for you? The much-anticipated Made by Google event is tomorrow in New York City. A lot of leaked information over the past month might take some of the wind out of Google’s sails. Even Google poked a little fun at itself over the leaks. Hopefully, there are some good announcements anyway. The rumor mill says we’ll see a Pixel 3 and Pixel 3 XL, a Chrome OS tablet called Slate, a new Chromecast, and more. According to Google, there won’t be a Pixel Watch this time around. Big servers come in little boards. Such is the case with the NanoPi NEO4 from FriendlyElec. At $45 dollars, it’s the cheapest board available with a six-core Rockchip RK3399. It supports a couple different flavors of Ubuntu and Lubuntu, has 1 GB of RAM, and may require you to buy a $6 heatsink separately. See the article for full specifications. Chromebook X360 is HP’s new, convertible Chromebook. It runs Chrome OS, has a 14-inch touchscreen display, 8 GB of RAM, 64 GB of SSD storage, and is available with your choice of an Intel i3 or i5 processor. Chromebook X360 is trim at 12.81 x 8.93 x 0.63 inches, weighs 3.7 pounds, and has a battery life of 14 hours. The starting price is $599. It took 7 years for DuckDuckGo to reach 10 million daily searches, then two more years to double that number. DuckDuckGo tweeted today that they reached 30 million searches in only half a year this time. Growth is rapid but the numbers pale by comparison to Google’s who sees over 3 billion daily searches. Europe’s GDPR likely helped give them the boost. The idea behind Liquid saw first light in 2015. Bitcoin’s first sidechain of sorts opened for real transactions today. Using Liquid initially are 23 bitcoin exchanges, brokers and other institutions for sending fast, secure, and confidential transactions. These entities comprise 50-60% of all bitcoin transactions. Liquid is a federated sidechain as opposed to a real sidechain, so it relies on the entities to manage it together. Shortened URLs on their own offer no clue as to their click-through destination. This leaves the door open for malicious content to reach unsuspecting victims. Some services, like Twitter and Bitly, scan shortened links on their platform for malicious destinations. Users should get in the habit of checking shortened URLs on their own as part of their online safety regime. First Microsoft released Windows 10 October 2018 Update. Then Microsoft rolled back the update due to issues that caused end-user file deletion. Insiders claim they reported the issue in the beta version, but the issue was not fixed in production. Skittish Windows 10 users may become complacent with update installations if the botches continue. Thank you for visiting Tech Help Knowledgebase to read the Tech Wrap-Up Week 41 2018. If you liked this article, follow us on Twitter @techhelpkb and subscribe to our YouTube channel to keep in the loop.